Toundi Ondoua, the rural African protagonist of Houseboy, encounters a world of prisms that cast beautiful but unobtainable glimmers, especially for a black youth in colonial Cameroon. 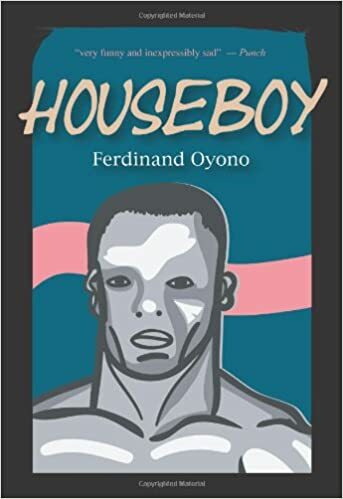 Houseboy, written in the form of Toundi's captivating diary and translated from the original French, discloses his awe of the white world and a web of unpredictable experiences. Early on, he escapes his father's angry blows by seeking asylum with his benefactor, the local European priest who meets an untimely death. Toundi then becomes "the Chief European's 'boy'--the dog of the King." Toundi's attempt to fulfill a dream of advancement and improvement opens his eyes to troubling realities. Gradually, preconceptions of the Europeans come crashing down on him as he struggles with his identity, his place in society, and the changing culture.